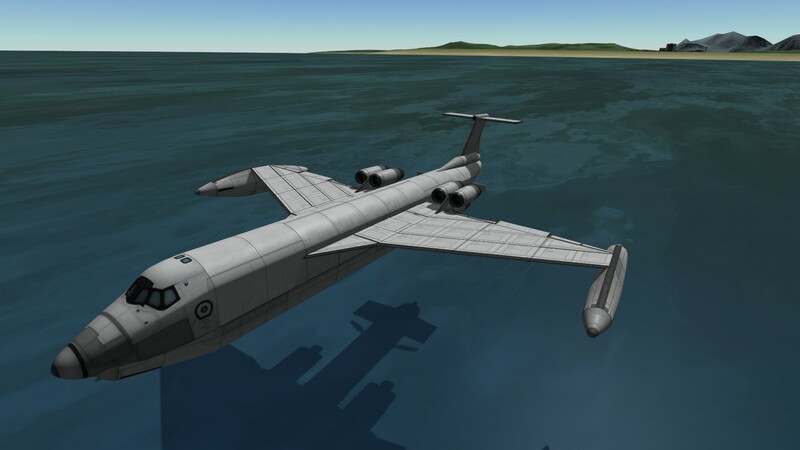 The Bm-5 Water Buffalo is a heavy duty, oceanic operational cargo aircraft capable of carrying a cornucopia of scientific instrumentation and crew to any destination, be it wet or dry. This amazing craft can land on water safely at a max of 95m/s and take off at a minimum of 75m/s. A stock aircraft called BM-5 Water Buffalo. Built with 212 of the finest parts, its root part is mk3Cockpit.Shuttle.